The slickest, most beautiful UI is nothing if it isn’t slick and responsive. It doesn’t matter if you run a blog, an E-Commerce site, or if you’re a multi-national conglomerate. If your site takes half a minute to load, users who otherwise might be your customers might start voting with their feet. 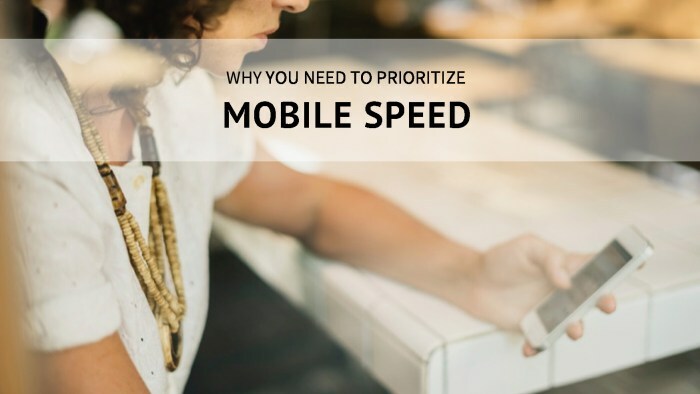 So, since it’s clearly an important point, let’s dive into the reasons why you should prioritize mobile speed, starting today. First things first, the most basic reason why you should consider speeding up your mobile site is that you’ll reduce the number of abandoned visits to your site. A full 53% of people abandon a site that takes longer than 3 seconds to load, and the effect is compounded on mobile, which is where people expect the fastest results. And as you might expect, the longer a page takes to load, the bigger the drop-off. Now, the average load time of a page on a 3G network is 19 seconds. Bear in mind, that’s not the time before anything appears on your screen. It’s the time it takes to load the entire page: text, pictures and any other media you have on it. A blank page with nothing but HTML and a few lines of text literally won’t take a second, but that’s ‘cutting off your nose to spite your face’ by not providing engaging content. The trick is to make sure that the engaging part of your page loads as soon as possible, before it has to load any of the bells-and-whistles that are a part of your site! Since you’re getting fewer visits to your site, you’re also getting fewer customers, no matter which industry you’re in. According to studies by Google, a mobile site that fully loads in 5 seconds effectively doubles their mobile ad revenue compared to a site that loads in 19 seconds. So if ads are a part of the way you make money through your site, you could double your money by making sure it loads quickly. Naturally, the same applies to E-Commerce stores and sites for regular businesses, too. Customers tend to engage more with sites that are quicker to load: the same study found that users spent 70% longer on average on a site that loaded in 5 seconds compared to one that loaded in 19 seconds. That engagement translates directly into sales. We’re used to sites that load quickly, so much so that one out of every two people using their mobile to browse the internet expect a page to load in less than 2 seconds. Aside from UX, you also have to think about SEO—search engine optimization. There are plenty of factors which Google accounts for when it decides who comes where in their search rankings. Number one, of course, is relevance: is your site actually relevant to what people are searching for? But aside from that, things like keyword density, images, link building and more all count. The better-built your site, the more you’re rewarded by Google, and the higher up you are in the search results, the more visitors you’ll get. The speed at which a page loads is actually something Google has been a little slow in picking up on. In fact, it’s only in July of this year that they’re updating their search results to really take it into account. They’re targeting the pages that ‘deliver the slowest experiences to users’ and pushing them down the search results page. By contrast, they’re taking pages built using Google’s Accelerated Mobile Pages (or AMP) technology and highlighting them, front and center, at the top of their searches. Now, it’s been a long ten years since the first smartphone—the first iPhone—was released. A lot has changed since then. Cellphones used to be for calling, texting and little else; now it’s all about apps. Apps respond lightning-fast because once they’re downloaded, they mostly use native data, and can work offline. On the one hand, that’s great for the consumer. But it also creates expectations about how fast the cellphone experience should be, which we discussed above. Until recently, that’s left mobile browsing at something of a disadvantage. This is where progressive web apps (PWAs) come in. They’re like native apps, but accessible from any device, browser or page URL like any other website. They look like apps, load nearly instantly, and users can ‘download’ them so that they’re accessible from the home screen of a smartphone. They’re also great news for publishers, since PWAs are easily updated like a website, and you don’t have to go through the hassle of getting them approved for the App Store. The point is to offer the same accessibility and flexibility a regular website, but with all the benefits of an app. This really is the most important reason of all. Whether you choose to prioritize mobile speed or not, your competition will. Page load speed has gradually become one of the key parts of mobile design. Why? Because the trend of rich content, especially high-res picture and video, was making pages take longer and longer to load. Compare a 1990s web page—a plain background, basic HTML, and non-responsive design—to something like Facebook, which takes an age to open! 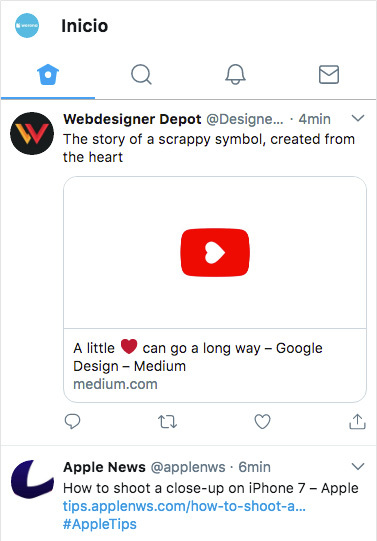 But with progressive web apps and other similar tools, it’s possible to have content-rich pages that load as fast as you like.